Arnaia. 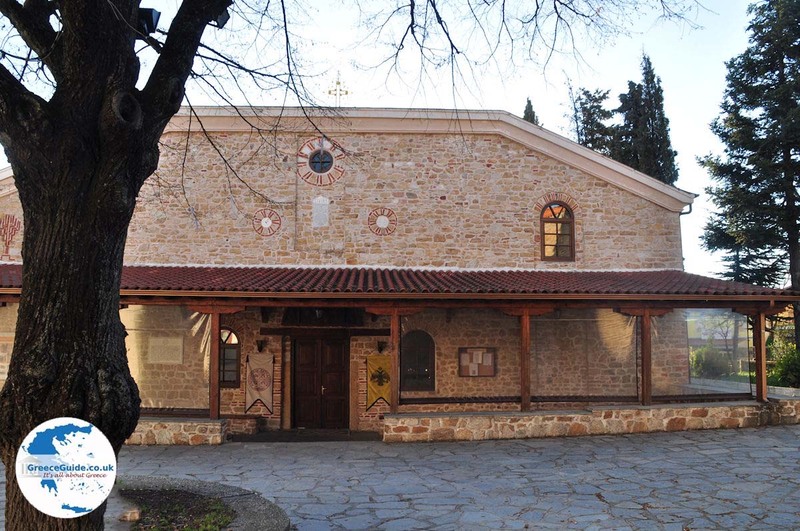 Arnaia (Arnea) is a traditional Greek mountain village north of Mount Cholomontas. 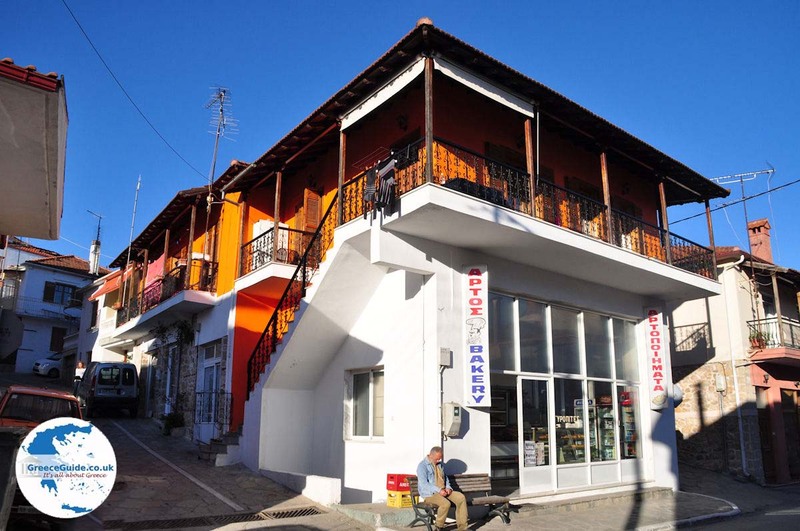 It is located 40 kilometers (24 mi) northeast of Polygyros at 600 meters (1,969 ft) altitude and it is the center of the municipality of the same name. 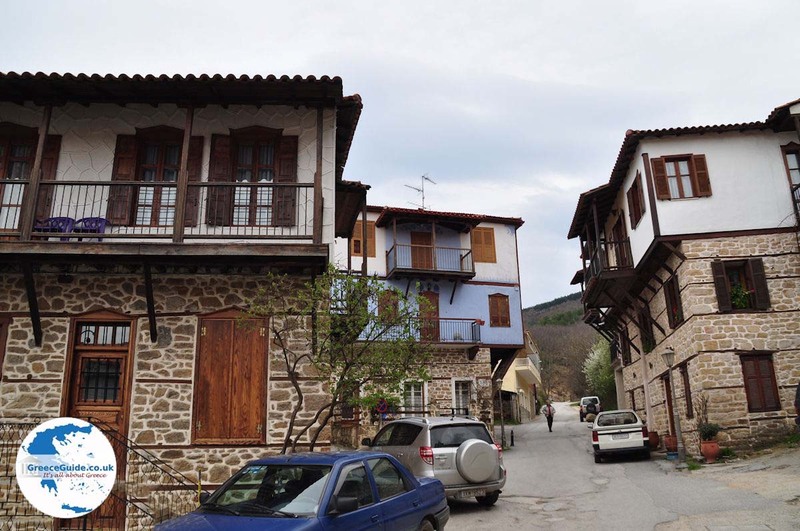 Arnaia is, by Greek standards, a large village, because about 2,500 people live there. It lies in the middle of a green area full of pine trees. 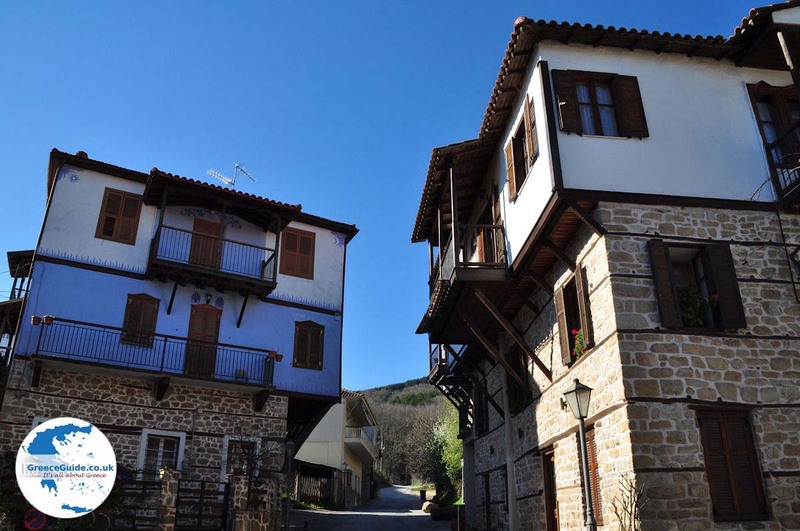 North of the main village is a beautiful valley, opposite of the woods and the green Dervenikos Mountains. What makes Arnaia attractive? 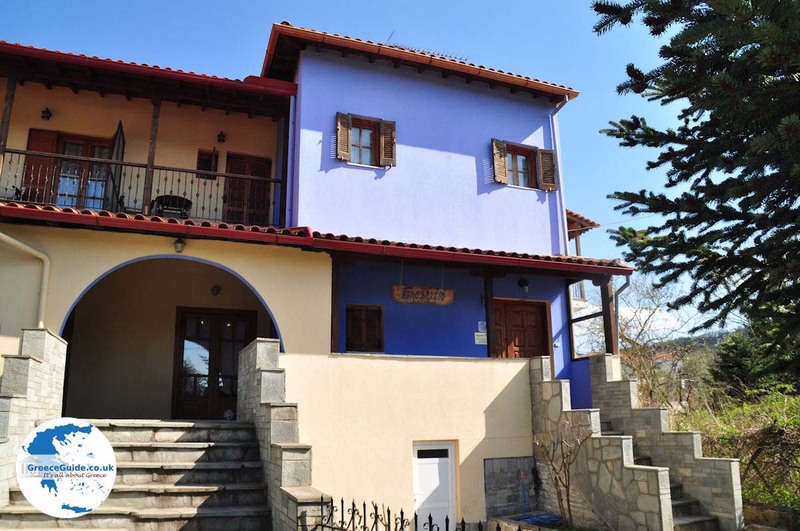 The beautiful houses built in the Macedonian style, with stone-paved streets and alleys. Arnaia is also known for weaving, the production of honey and the musical talents of the residents (e.g., Byzantine music). 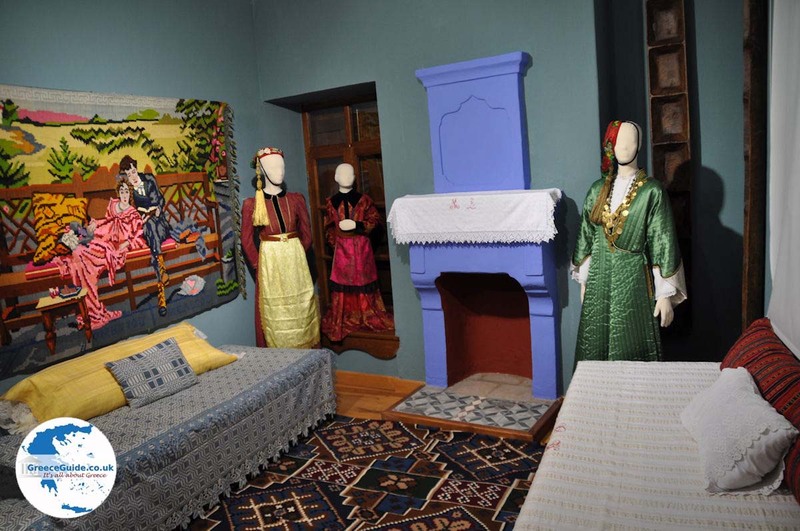 Throughout the year, the cultural association of Arnaia organizes various activities for the revival of old traditions and dances, through exhibitions, concerts, etc. 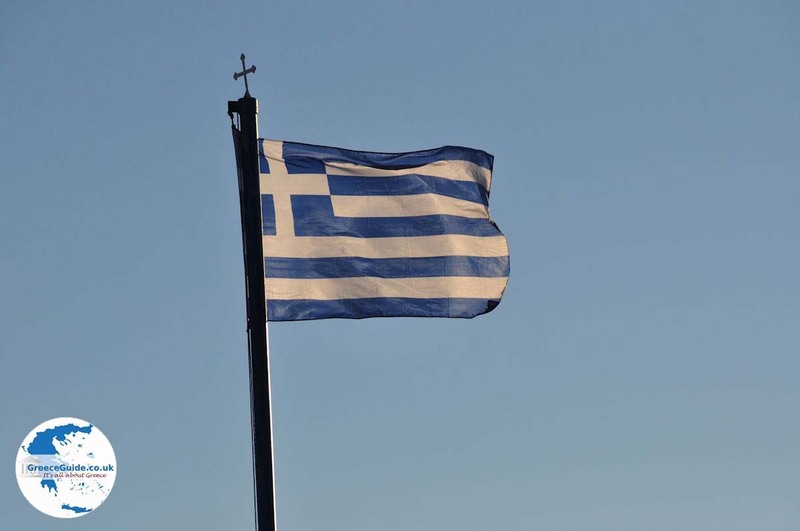 All kinds of folk festivals are held such as Agioi Anargiroi (July 1), Agia Paraskevi (July 26) and Agios Stefanos (December 27). Also, Carnival and Easter are exuberantly celebrated. These feasts attract many people from neighboring villages. When we visited Arnaia, we were impressed by the elegance and beauty of this village. The houses are truly beautiful and colorful. The use of the color purple makes a striking impression. The mansions are all built of large stones and often have wooden balconies. There is a beautiful village square with nice cafes and restaurants. In Arnaia there are no big hotels, but there are plenty of cozy inns where you can stay and where traditional food is offered to guests. 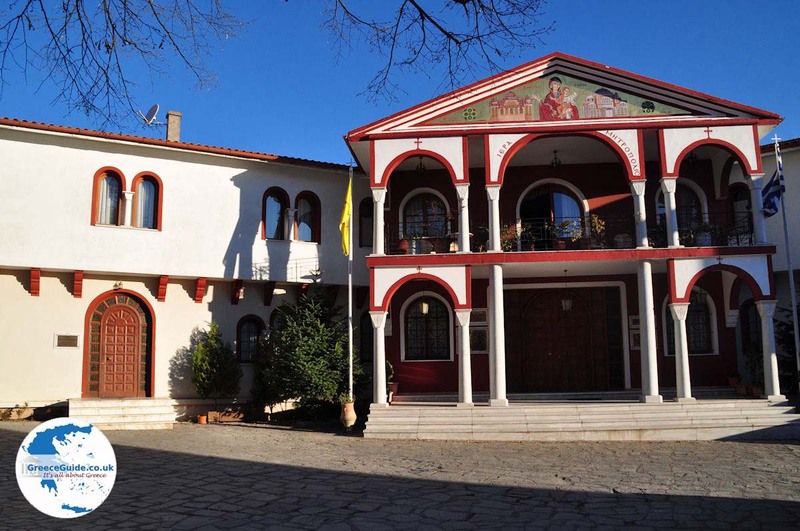 We stayed at the Inn Mitsiou which is an old mansion built in 1812, and which a couple of years ago, was completely renovated. 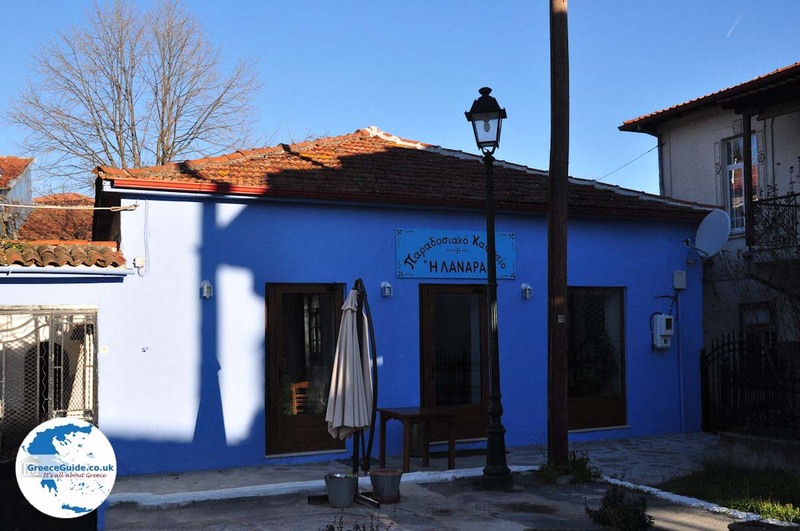 Another nice inn is the Inn Alexandrou. This inn was also formerly an old mansion, it is now a lovely residence with a magnificent restaurant. 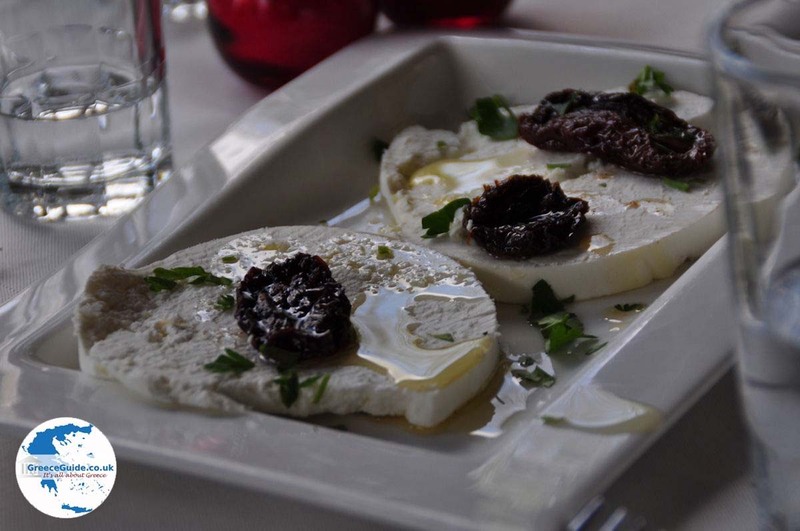 If you come here, order the delicious local sausages, mushrooms, local feta and delicious local wine. 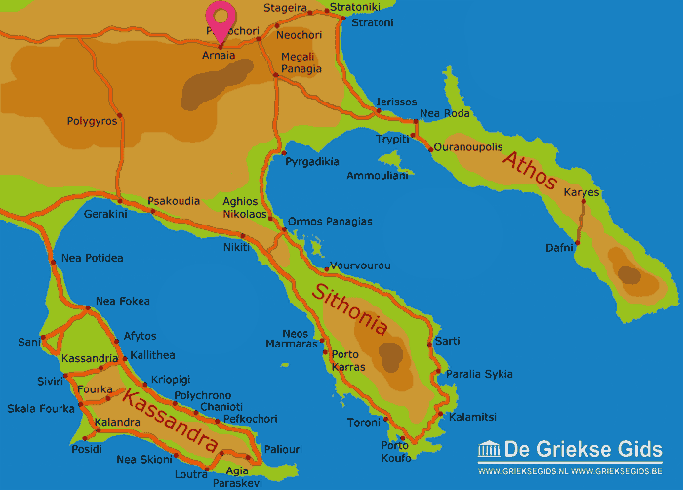 Halkidiki: Where on the map is Arnaia located?